This is the event that my entire year revolves around; and I’ve delayed writing about it because, quite honestly, it is hardest to write about the things closest to the heart. But I feel I’ve delayed too long now – there is much to share about the event and even more people to thank for making it a success. It was during the 2013 September Grow Out event that Councillor Marvin Rillo, who has been a long-time friend of my family, noticed that our event had outgrown it’s current location. 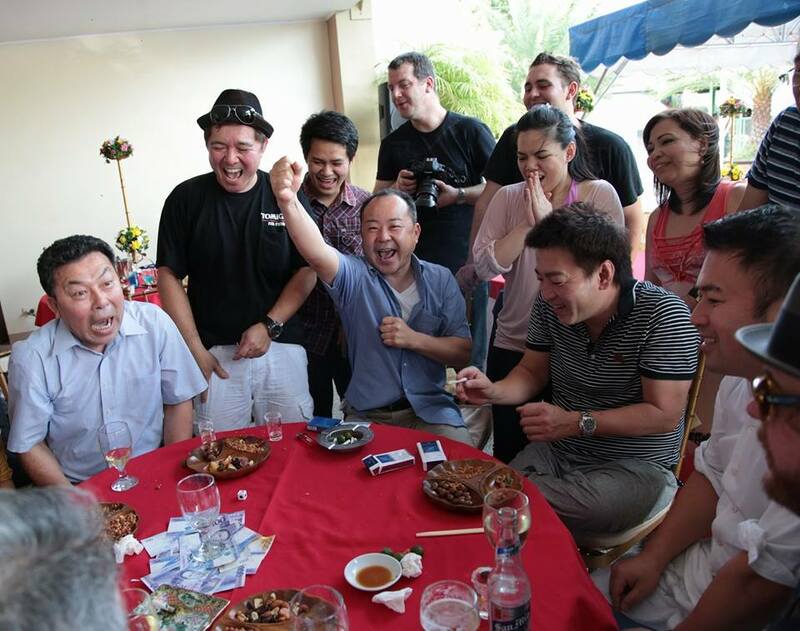 Since 2001, we had been holding several different Koi symposiums and shows at Pearlie’s Garden and Restaurant, which was located immediately beside Kois & Ponds in Quezon City. The proximity of the location to our shop made our events so much more manageable and convenient and it gave us peace of mind knowing that any incident that may arise could be immediately addressed with minimal challenges. But our events were quickly outgrowing it’s location and it wasn’t exactly weather proof, since half of the restaurant was in open air. Tito (Uncle) Marvin invited Papa to try moving to a newer, much larger location at the Quezon City Circle Basketball Courts, which was across the street from Kois & Ponds. It would be covered, with ample parking space and a good way to test and see the challenges that would arise without the comforts our home base yet still manage to attend to any possible unforeseen circumstances. Papa was very eager to take this opportunity, but I was a little hesitant. 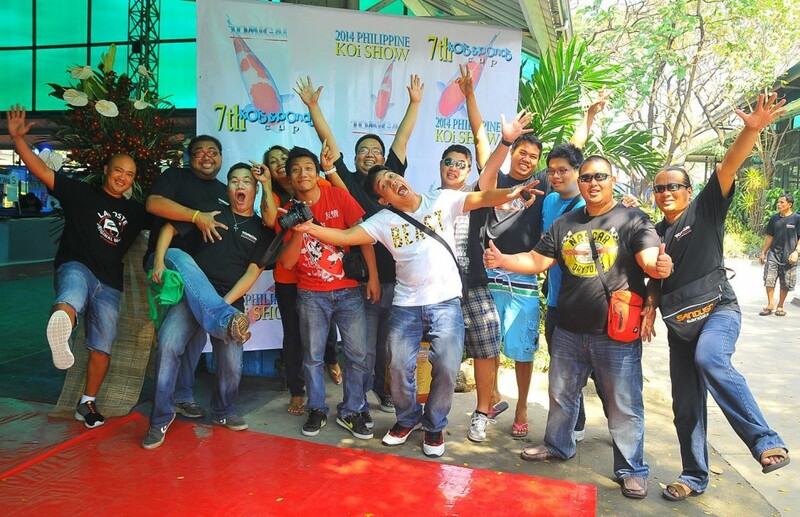 Since 2011, we had always held the Philippine Koi Show right beside our shop and Perlie’s had always played host to all our events. 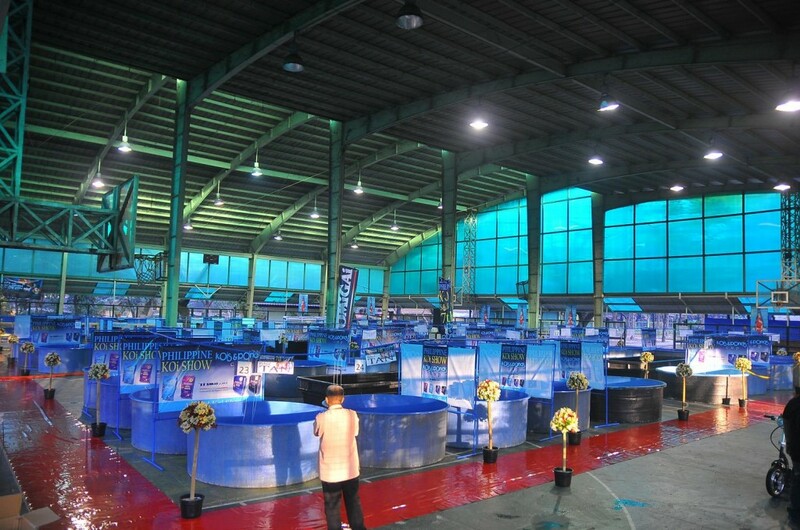 We had grown comfortable and familiar with our setup and protocols so we already knew how best to manage an event as large as a Koi Show. But my wonderful mom, Gleci, once told me, “You have to learn to be comfortable being uncomfortable. That way you’re always pushing yourself to greater heights.” Keeping this in mind, I agreed with Papa and thanks to the support of Tito Marvin and Mayor Herbert Bautista, it was full steam ahead. Now full steam ahead doesn’t mean everything was smooth sailing. In fact, it was one of the most challenging shows we had ever put on! The Grow Out contest is traditionally only a one-day event, which meant that we had to bench all the fish, judge them all, hold the awarding ceremonies and release them to their respective owners all within a 24 hour period. 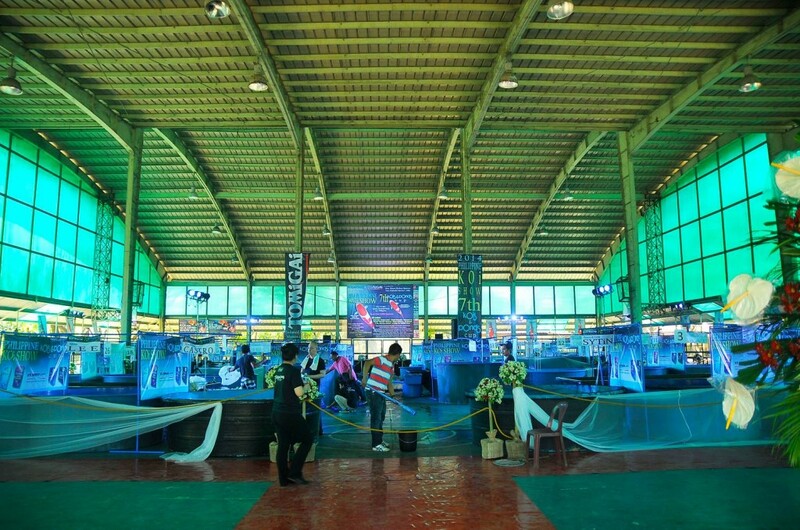 This was the understanding that Tito Marvin had of a Koi show, so he was under the impression that we would require only a couple of days at the venue. When negotiations started, we found out that the venue was only available from the wee hours of Friday to Sunday at 3 pm. That meant that we needed to bring in all 60 of our tanks, fill them up with water then condition and aerate in about 8 hours. Furthermore, we had to be able to set up the spare water tanks, set up the aeration system and put in all the decors and lights within the same period of time. What usually takes about 2 days of set up, we only had one REM cycle to accomplish. What made this more challenging was that we typically offered a service to some of the clients who decided to avail of it: we would send our staff or ourselves personally to their homes and collect their Koi for them. That way, both the Koi and their owners would go through a lot less stress in showing their Koi. But once the Koi was collected, we would typically put their fish in the pre-prepared show tanks already, which meant that they were picked up a day or two before benching started. With the new timeline we had, there was little to no window for opportunity or space in our facility for any of us to be able to fulfill this service without possibly serious repercussions. The challenges were forming a very daunting mountain and it was back to the drawing board for all of us. Instead of seeing problems, though, we chose to see only possibilities and I have the members of my wonderful team to thank for that. Our Kois & Ponds staff Nonoy, Rene, Rachel, Me-Anne, Marisa and Tita (Aunt) Amor paved the way for us while we were away from Manila and made sure that all the suppliers were contacted and informed of the new location and how we could logistically address the new venue. 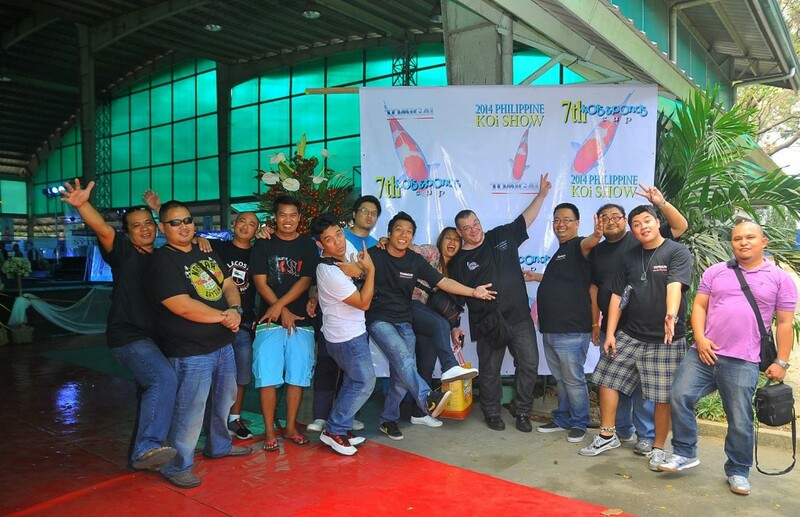 Tito Frannie and Tito Dekster, who had been our production team for the Philippine Koi Show since 2011, were accustomed to early-morning setup schedules so they helped us create a feasible time-line and managed the traffic of the entire weekend. Together with my ever loyal and always present cousin Det-Det and her husband Julius, it seemed like our plan for the Koi show would work. We decided that after Ingress, we would take all of Friday to bench the Koi. 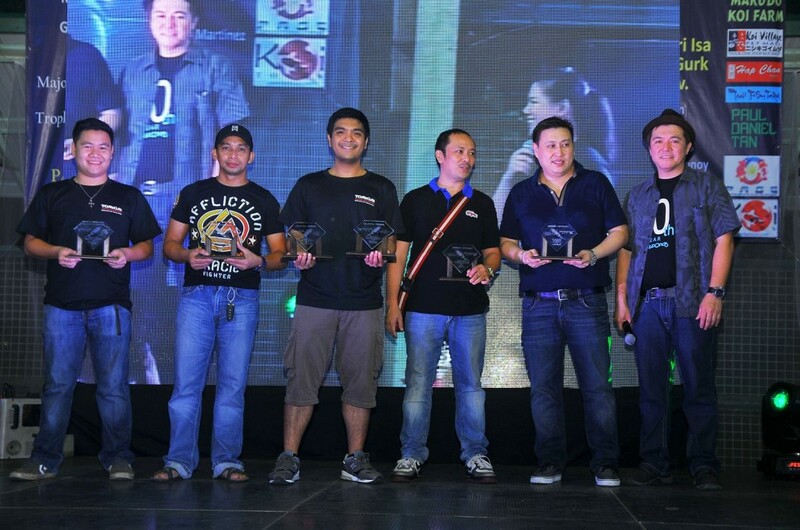 Saturday afternoon would be devoted to judging, then awarding of winners would be done on Saturday Night. 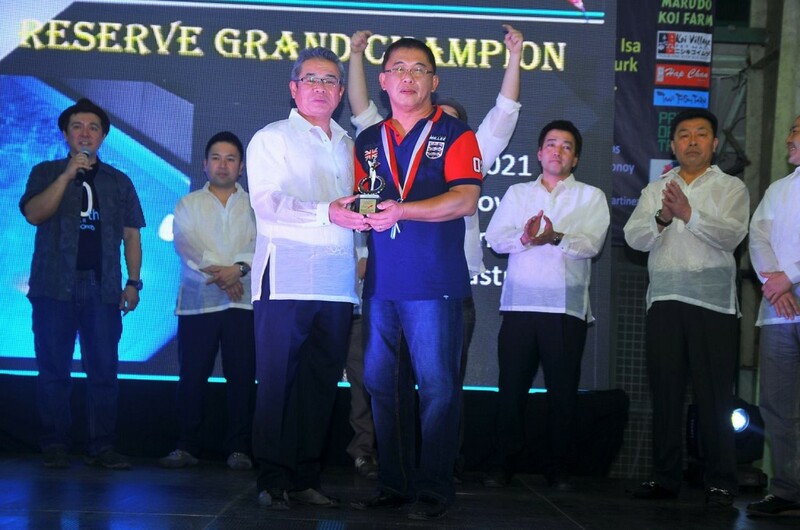 While the awarding was going on, my brother Tom would begin bagging some of the Koi for the hobbyists to take home after the awarding ceremonies and (hopefully!) by Sunday there would only be a few tanks left to take back. It was a tight schedule, but that was the only way that it would work. On several occasions, a vendor would call and say something wouldn’t be possible, so we had to work through it. The time frame given was so tight and prohibitive that we were tempted on several instances to abandon the idea of moving to a new venue and retreat back into the same venue we had been accustomed to for the past three years. But providence stepped in and pushed us forward. Perlie’s Garden and Restaurant had already been booked for our show weekend so we had no option but to proceed as planned. In hindsight, we were all glad to have moved our show location. Allowing ourselves to spread our wings and bring the show to greater heights really only inspired every member of our team and the hobbyists as well. It has brought new vision to what we imagine our Koi show to be and since then we have decided to elevate the standard of the show to see what more we can do. From the very beginning, our good friends Armiel de Torres and his family, Daniel Villoria, Paul Tan and Mike Go had been coming in and out of the shop to see what more they can do to assist in helping the show. They heavily promoted the show and were a crucial part of the entire team. 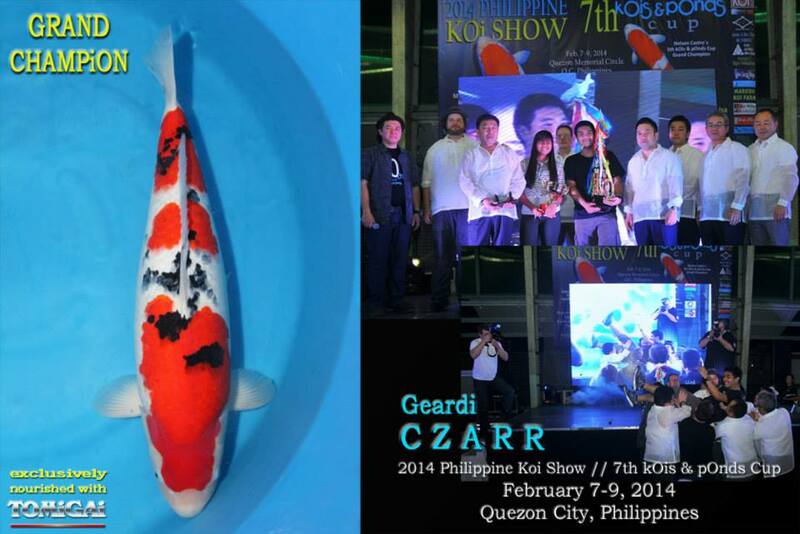 Armiel worked heavily on media and promotions of the show, Daniel helped to create nearly all of the trophies, Paul has been an avid and loyal supporter of the show since it began and Mike brought the show to a whole new level by organizing a goldfish and betta show to be held in conjunction with the Philippine Koi Show. 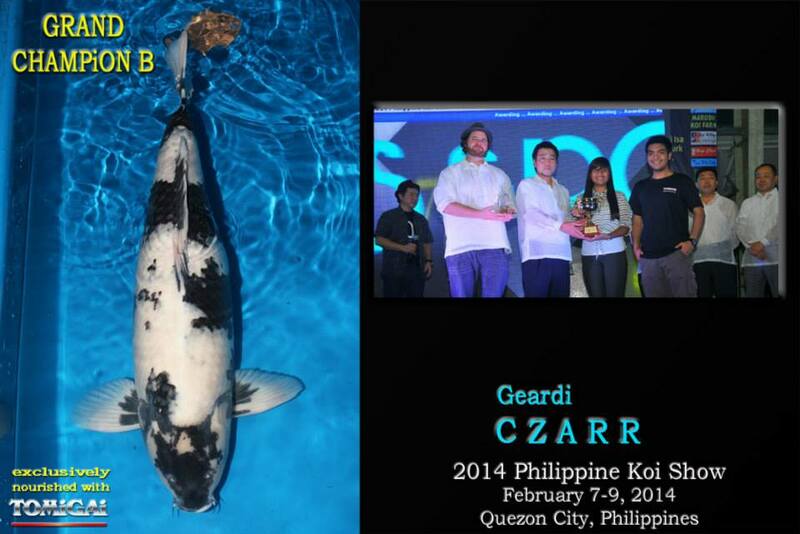 Now, the Philippine Koi Show weekend was not only for the Koi enthusiast, but for all sorts of fish enthusiasts! 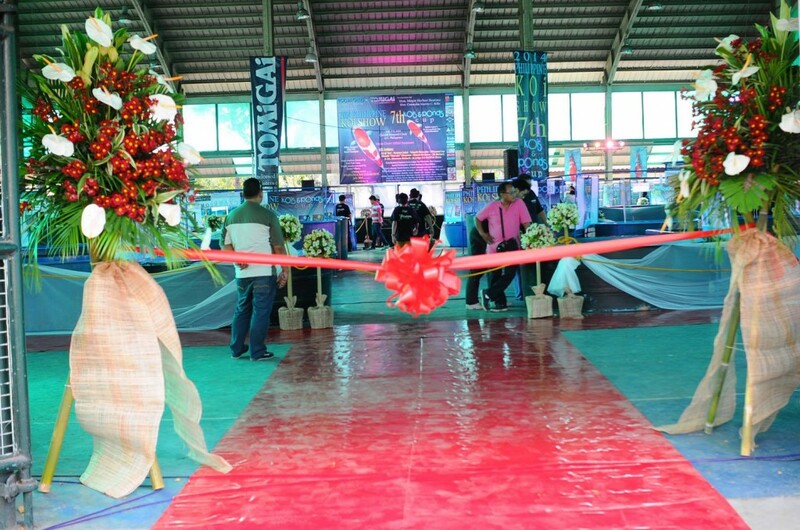 The show weekend was now only a few days away and hobbyists from all over the Philippines started to pour in. 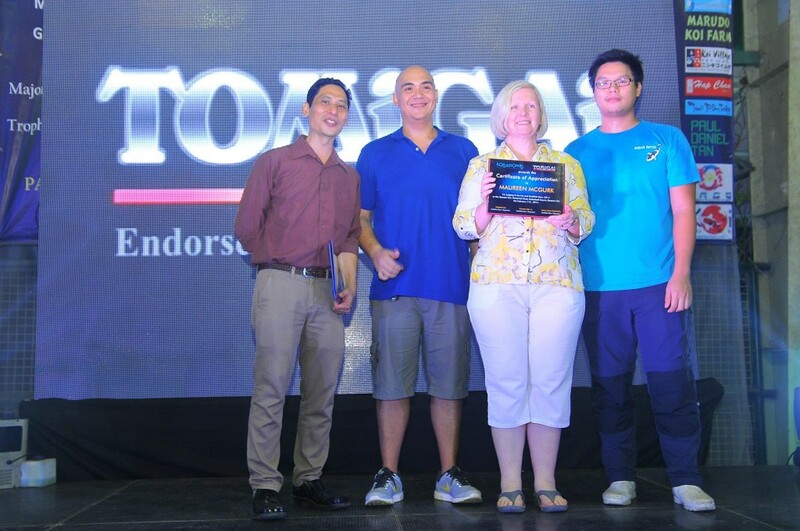 The level of support that we got from the Filipino hobbyists for both Kois & Ponds and the Philippine Koi show was just so overwhelming that without them we would not have been able to manage. From Cebu City came the effervescent Briexcell Martinez, Ronald Cuaton, Wanesy Man, Joannes Turgota and Arvin Dakay; from Cagayan De Oro flew in the fun-loving and cheerful Richard Tan of Chang Koi together with Ronald Cuaton, Jun Abucay and Gboi Larazo; From Ilo-ilo we had Sherlock Chan and Giles Bayate; from Tacloban came Rhonel Lunzaga and from Davao came Chris Lee of Koi Village in Davao. The first wave of our out-of-towners had arrived and they were all so excited to help out with our event! We were so grateful for the help they offered and took them up on it: together we all became one big team! We asked Richard Tan to form a team of people to help our staff Marissa to go around the homes of different hobbyists to assist them in bagging and transporting their Koi. It was because of this that a tremendous amount of stress was relieved from our shoulders since the tasks were now divided among a larger group of people. It helped us buy so much more time! 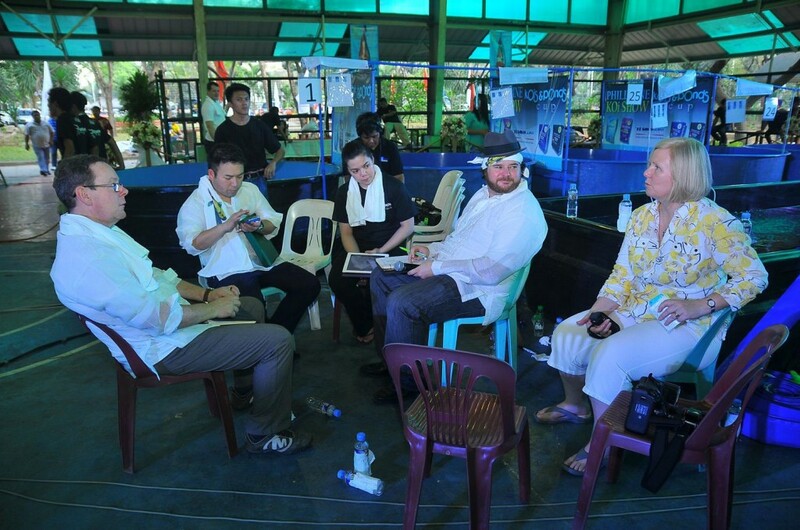 This year was also special since it would be the first time for the Philippine Koi Community to welcome to the Philippines Bill and Maureen McGurk from Purdin Koi Farm as well as Steve Gibbins of Koi Tours. Of course, the lovable and adorable Shawn McHenry and the ever-present Mark Gardner would also be attending the Philippine Koi Show. They are all people I have immense respect for when it comes to Koi and I am so proud to call them my friends. It was now the Thursday before our show weekend, and by all accounts we all had a calm and composed demeanor as we enjoyed dinner with our guests. In reality, however, a storm was brewing within all of us and we were like runners at the starting line just waiting for the gun to go off. When eleven o’clock rolled around, however, Kuya (older brother) Tom came in and pulled me aside. By three in the morning Papa, Kuya, Devin, Shawn and myself were all at the show site setting up for the show. While it was my name on the banner above the words “Show Chair”, in reality the show chair was all of us. Papa had been working day and night to organize all the vendors, Kuya was the head bencher and the person responsible for fish health and oversaw everything that had to do with that, I was responsible for managing data and the awarding ceremonies, Devin was my brother’s co-bencher and liason for the Japanese breeders, while Shawn managed the water quality of the vats and assisted us in benching on top of being one of our distinguised judges. On top of that, we had a lot of help from both friends and family: Tito Lambert and Tita Ellen made sure everyone was fed, Edward and Chris did a splendid job of setting up the flowers and decorations while Anna assisted us in judging and awarding. We had a long day of benching ahead of us, so Kuya, Devin, Shawn and I headed on back to get some rest while Papa continued on to supervise the set up. Papa came in for some zzz’s at ten in the morning, which then signaled the changing of the guard. When we got there, we found all our volunteers already up and busying themselves with various tasks. Among them was the father-and-son team Larry and OJ Valera from Kois Unlimited, who had arrived bright and early at 7 am. 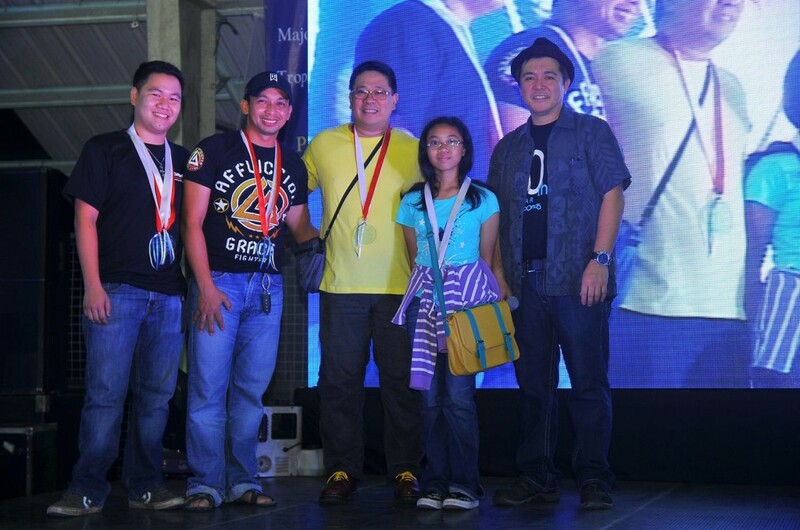 Kuya, Devin, Shawn, Maureen, OJ Valera and myself then started the long process of benching the Koi. In total we had about 60 vats that contained 283 Koi owned by more than 38 different hobbyists. 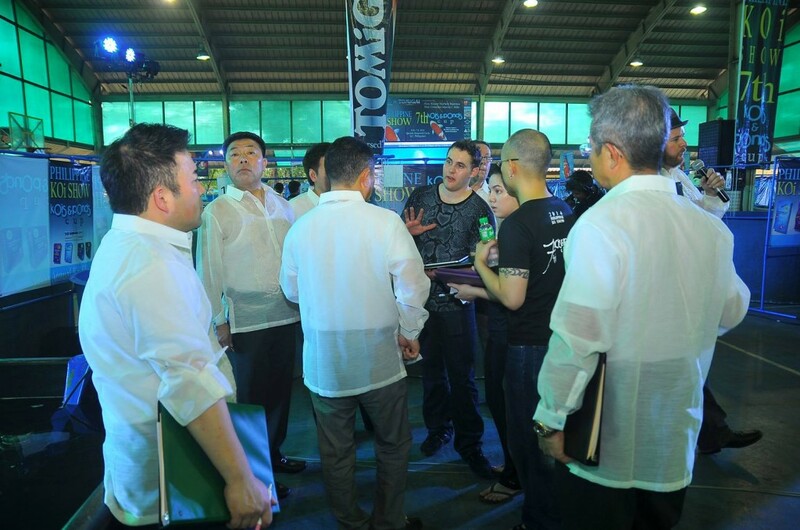 The final wave of guests were set to arrive on Friday: the Japanese Judges. This year we had of course Kenji Tani together with Kentaro Sakai, Mitsunori Isa, Hisashi Hirasawa and Takashi Omosako. Joining their judging team was Bill McGurk and Shawn McHenry. Our roster of judges was complete! Saturday was judging day and my dad had a surprise for everyone. 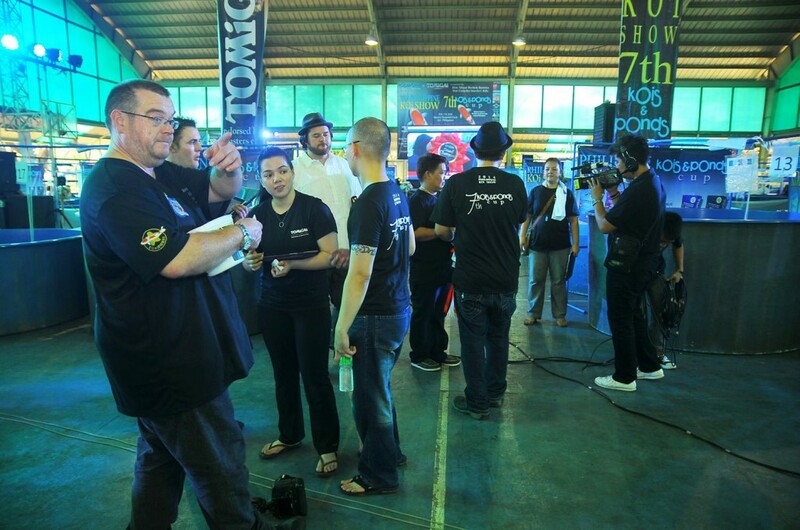 He had rented out a larger-than-life LCD screen together with two separate camera crews to follow the judging teams around and bring everyone an up-to-the-minute update of exactly what was happening inside the judging ring. Since the show area is always closed to guests and spectators while the judging was going on, it was so nice to be able to bring to everyone an insight as to what really goes on while their Koi is being judged. 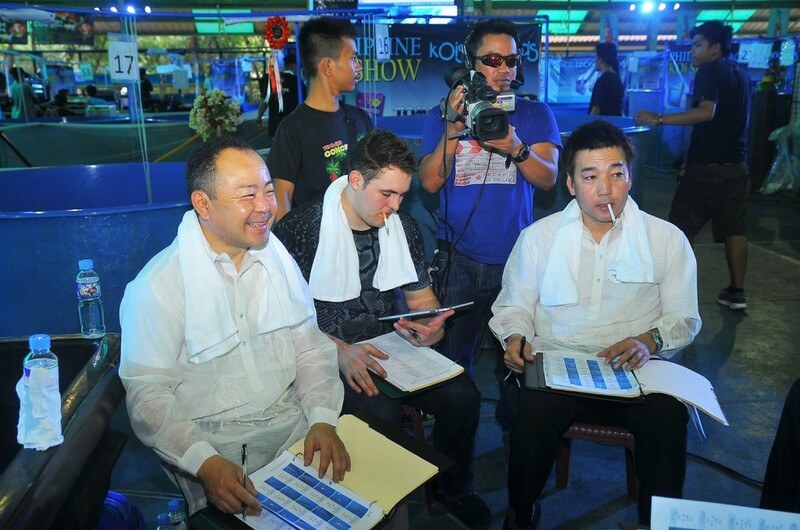 The judges was separated into two groups: Shawn McHenry, Bill McGurk and Kentaro Sakai judged the Kois & Ponds Cup while Kenji Tani, Hisashi Hirasawa, Mitsunori Isa and Takashi Omosako judged all the Koi for the Philippine Koi Show. But before they separated into groups, they first judged all together Grand Champion, Reserve Grand Champion and Grand Champion B for both show divisions. While Bill judged the Koi Show, Maureen was busy judging the Goldfish show. They finished judging all the Koi at around 4 pm, after which we all scrambled to prepare the awarding ceremonies while Kuya started getting his team ready for bagging up the fish. 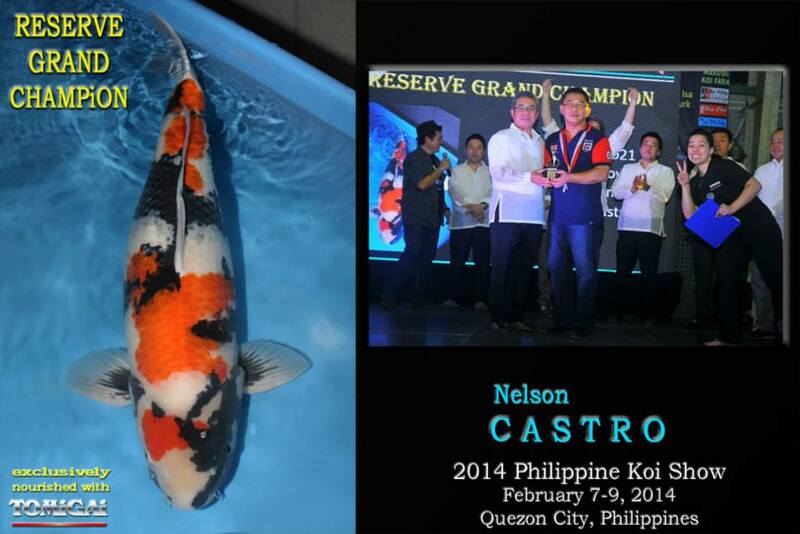 The photo album for the winners of 2014 Philippine Koi Show may be viewed here. 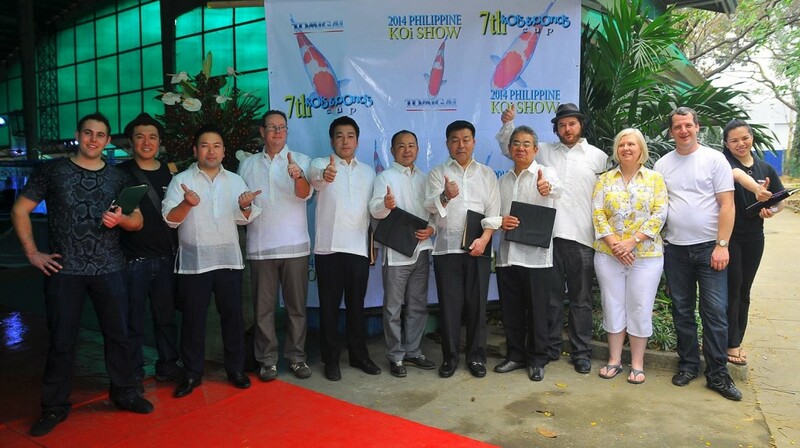 Congratulations to all the winners, participants and volunteers of the Show, and thank you so much for being a part of the 2014 Philippine Koi Show! We are all so grateful for all the support and without everyone the show would not be possible! Photo taken By Mark Gardner. I cannot be grateful enough to so many people, for the success of the show. Apart from everyone who’s names I’ve already mentioned, I would like to give a special thanks to Tito Ading, Tita Tals and the entire Asuncion Family for having supported Kois & Ponds and all our endeavors for the past decade; to the Kois & Ponds Staff: Tita Amor, Me-Anne, Marisa, Nonoy, Rene and Rachel who have been our greatest assets through these years; my mom, sister-in-law, Michie and baby sister Gaita who always take care of things stateside whenever we go away for travel and for being our inspiration; to my amazing husband Devin, whose happy and upbeat demeanor in addition to his indispensable Koi skills keeps me both sane and manageable; my wonderful brother, Tom whose Koi expertise and hard work make the entire show run smoothly; and of course to my father the visionary, it is through your inspiration that all of this is possible. I could not ask for a better family to call my own. All in all we were so happy with how the show turned out and even more excited for next year’s show. It has totally inspired us to push to the next level and see how far we can take this show. Immediately after the show was concluded and everything was packed up we all went into a full-on frenzy discussing what more we can do to improve our show. 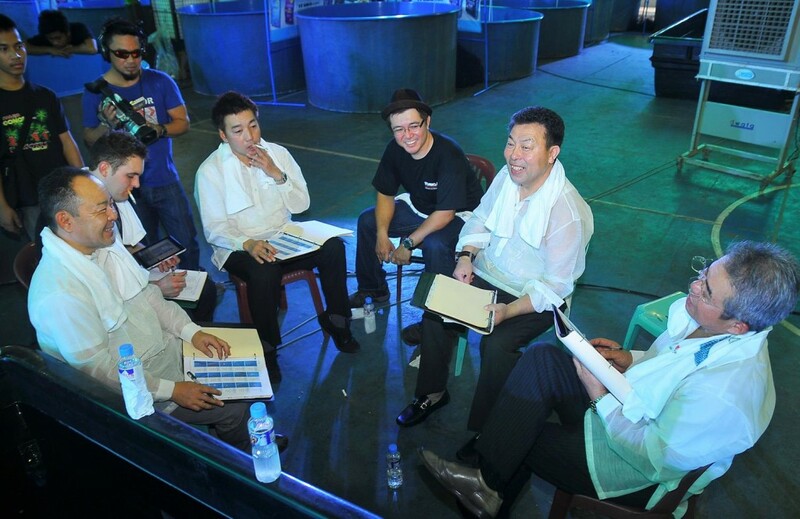 Each one of us was eager to make an input and it looks like the 2015 Philippine Koi Show will be brought to heights yet to be imagined! But for now, the Kois & Ponds team is in a frenzy preparing for the Koi show that started it all: the Grow Out Contest that is going to be held this September at Kois & Ponds in Quezon City. We are so excited to bring to you another event and I for one have grown addicted to putting up Koi Shows! Kita kits sa Manila! Thank you for reading my blog! I really appreciate it. At the moment I don’t have a newsletter or mailing list that sends and e-mail when the blog is updated, but we do have a facebook page that has very regular updates. You may view our profile here. Again, thank you very much and I hope you continue enjoying my blog!